This blog gives you a behind-the-scenes look to the authoring of this book and the conversations that follow as people read this book everywhere. 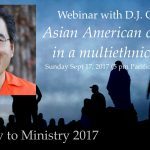 When there are online discussions about topics related to what MultiAsian.Church has presented, that is quite noticeable. 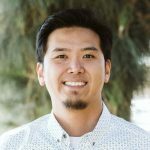 There are not yet many voices from Asian American pastors and church leaders on the web, the public web, that are discussing very important and urgent issues pertaining to the churches where Asian Americans find belonging. 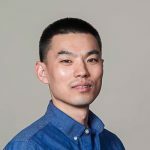 Encouraging to find 2 recent blog posts from 2 Korean American pastors, Steve Bang Lee and Thomas Hwang, writing their thoughts on 2 pertinent issues regarding Asian American churches and the churches where Asian Americans attend. The printed edition of MultiAsian.Church book is near completion and soon to be in the amazon.com online store. Final layout of every page was completed last week and submitted to the printer. (We're using CreateSpace as a print-on-demand publishing service.) And before it's made available, a proof copy has to be reviewed for any final changes that may be required. Here's a brief video update with the author DJ Chuang unboxing the proof of the printed book that just arrived: You know what? You don't have to wait for the printed edition. 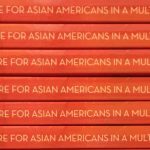 You can purchase and instantly download the digital edition of MultiAsian.Church as an eBook today!